How has learning Portuguese affected your life? Readers of this blog come from all over the world. Everybody does different and unique things. Some of the stories are romantic. Others are professional. Others are inspirational. If you’re learning Portuguese or you’re just curious about what kind of adventures you might be able to have in Brazil by learning Portuguese, then you’ll definitely want to check out some of these stories. I have lived full time in Diamantina Minas Gerais since the beginning of 2015. Here where I live no one speaks anything but Portuguese. Having studied French, and spending a lot of time in Spain I had a rooted foundation in Romance languages. Portuguese has proven to be more difficult to write correctly but speaking colloquially is easy. I do have a problem with regional accents on the phone….especially paulistas….I am used to mineiros that speak slower and very loud… I work at a hotel as an event planner. I write contracts in outline form and another employee polishes it up in legalese Portuguese so I am covered. People here are patient and humble and if you don’t get right the first time no big deal. The subjunctive mood of Portuguese verbs is a challenge but I know a lot of erudite French words that easily can be transformed into Portuguese so I don’t appear to be a language dummy. In my area there is no setup for studying Portuguese as a second language. I was tutored by an elementary school teacher and ended in early junior high. In all the best way is to have a job where you are totally immersed in the language or find a significant other with whom you can converse. I started learning Portuguese while working for a Brazilian start up company. At that point I could only speak basic words and phrases. A few years later, I’m engaged to a Brazilian, speak mostly Portuguese at home and I’m planning my wedding in Portuguese. Although learning this language has been challenging at times, I have experienced so many rewards. I can now understand Brazilian culture on a much deeper level and communicate with so many people I otherwise wouldn’t be able to understand (including my future in-laws)! A meaningful experience to me, has been always forgetting that I can’t flush toilet paper in all of the houses. I ALWAYS forget, and then get sad because there’s nothing I can do about the paper. It just gets all slushy, and soft, and it sits there while I drown in guilt. One amazing thing has been having the opportunity to be with my partner, seeing how she behaves in her natural setting. We met in the US a while ago and she’s my reason for why I started down the Brazilian road. So it’s cool, I guess, to see another way a person can present themselves when language acts as a method for personality construction. For example, some words in one language can cause trauma based on past experiences, whereas the same words in the other language are fresh and ready to make new meanings. Learning Portuguese has brought me to Brazil, a place that would come to feel like home. My favorite part of it so far is the food. This is very specific, but I’ve fallen in love with the local farmer’s markets. Being able to walk a few blocks down the street and find fresh fruits and veggies wasn’t accessible to me in my home town of Philadelphia. But here it’s a part of my routine. I never thought that I would’ve been eating so many radishes! My son moved from the US to Brazil nearly five years ago, to serve as a missionary. He met and was engaged to a Brazilian, and I knew I would need to learn Portuguese for visits there. Traveling for the wedding, staying with his in-laws, and talking with Brazilian wedding guests, I was able to carry on conversations, surprising most of the people there, including my son, who didn’t have to ‘babysit us’ at the wedding. Most of the people we were in contact with did not speak much, if any, English, so this was pretty cool. We’re hoping to move at least part-time there in a few years, but for now, I look forward to talking with folks on visits to Brazil. I first fell in love with a Brazilian woman who later became my wife (and who is now I should add now ex-wife – don’t worry, we’re still friends), then I fell in love with the country, its ways, its energy, its music, its food, but most of all with its people. I still travel to Brazil whenever I can, and I have now taken up capoeira, jiu jitsu and Portuguese lessons, I make smoothies, açaí, pão de queijo and tapioca pancakes. I know that one day I’ll retire there. Brazil is as we all know the country of the future, and it always will be. Brazil, it seems, is the country of my future. 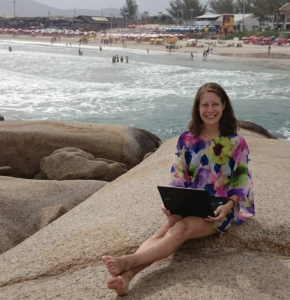 Last year I spent three months in Brazil as a digital nomad. I don’t think I would have easily survived there without speaking Portuguese, but only a few simple lines were enough for me to flourish in the country. 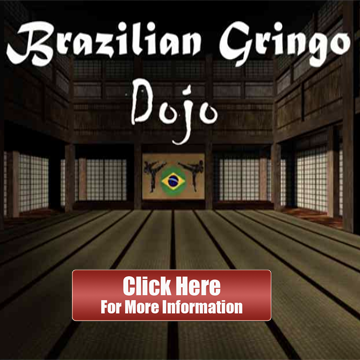 Josh, you are absolutely right about the “gringo script” (I think I read it in your blog), and I had many of these “small talk” occasions with charming, interesting and open Brazilian people. The variety of topics that can be included in a 5-minute conversation in Brazil is amazing. The “where do you come from” and “what do you do in your life” questions are obvious (in Portuguese language, of course), but it is also possible to get information about the most beautiful praia in town, to discuss corruption and disillusionment of the elite, or to get a quick insight into where the ancestors of your partner came from (Angola, Germany Italy, Japan, Poland? or from all of these countries? in Brazil it is easily possible…) I felt I was able to connect with Brazilian people, and also with Brazil through these short chats, and I never felt alone, even for a moment. There was always a chance to get in touch with someone at the next corner. But without speaking some Portuguese I would have missed all of these great opportunities. I lived in Brazil for three months, but studied Portuguese long before going. When I returned I was basically fluent since I used it the entire time I was there. I made a lot of new friends and had a lot of new experiences along the way, but I wanted to really use my love for Brazil in a big way. I teach an indoor color guard team called Spintronix, so when I returned from Brazil I used the song “The Girl From Ipanema” for our competition piece. My team went all the way to state championships that season, and then WON for the first time in our 9-year history. Afterwards, a foreign exchange student from Brazil came up to me. She was living with a family of one of our competitors and was very homesick after 9 months here, but she said she got to see our show and it brought happy tears to her eyes. This entire journey was incredible to me, but this was the one single moment that made every single part come together for me. Learning Portuguese has allowed me to communicate more fully with my wife’s family in Brazil. Unfortunately I do not live in Brazil, but when my family and I travel to visit family, I am able to communicate at an incredible speed and have been told that I am slowly becoming a Brasileiro! It also is a gateway for our 16 month old daughter and I to bond. We watch many Brazilian cartoons together and learn words together too ! In fact, I have learned the Brazilian alphabet first ! I’ve been in Brazil for 4 1/2 years. I couldn’t communicate with anybody when I first got here. I learned the hard way and probably the easiest way. Total submersion. If I was going to accomplish anything in Brazil I had to learn the language. And not the correct way to speak it but the colloquial way they speak it here in Belo Horizonte. It has been an awesome experience getting to know a new language, culture and food. It’s been the best experience of my life. Learning a new language opened doors to new friendships and business partners. I am here with my family and this has been the best experience for them as well. Thank you Brazil. For me learning Portuguese has been everything because without it i can’t communicate with these beautiful people! Sometimes i get frustrated that Im not completely fluent yet, but I’m getting there! Well, I speak a little Portuguese just for the fact that i was born in Mozambique, parents from Cape Verde and i was 12 years old when i arrived in USA. This is my fourth time in Brazil and i have decided to visit Florianópolis this time for 6 months. i have improved my Portuguese ( Brazilian Portuguese that is ) a great deal . i am now training young fighters in a Boxing | Karate Gym in Praia de Ingleses due to fact of my boxing skills (professional retired boxer) for free and learning the language was a Big Deal. I speak both languages to the students and they correct my Portuguese if necessary. The students are learning two things at once … Boxing and a new language . I’ve never been to Brazil but I’ve started learning about Brazilian festivals in my city that I didn’t know existed. I’ve helped multiple Brazilians who were learning English and in the spring I’m going to Portugal. Someplace I had never thought about until I started learning Portuguese. I live in Germany and I am currently spending a few days holiday in a small place on the river Rhine. On a small boat trip on the river I came across a large group of Brazilians from Porto Alegre who where on a short tour of Europe. Having learned Brazilian Portuguese for the last three years I was able to have a really good conversation with some of them. It felt great! I’ll be visiting Brazil again next year and can’t wait! 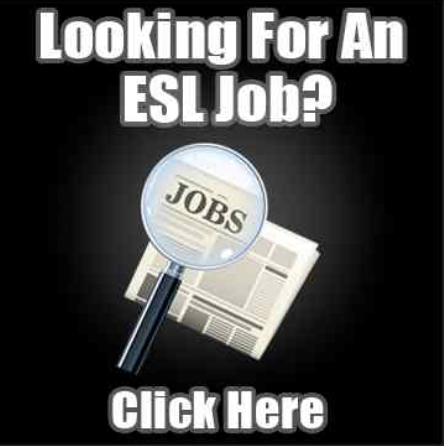 My story is l was unable to speak Portuguese and l have been rejected for work application. I need to learn more then. Learning Portuguese has impacted my life that brings smiles and dreams in others. After meeting and having a conversation with me about my life in Brazil has inspired others to rethink and strive to broaden their knowledge of other languages. It all started when I met her. Viviane from São Paulo Brazil. I knew when I saw her she would change my life forever. Our first date was silent and nervous. She was shy about her English. I had no Portuguese. It was then that I knew I had to learn Portuguese. I did and our relationship grew into a beautiful marriage. 3 years later I had many family and friends from all over Brazil! Brazilians are everywhere in America. Now I can talk with them, work with them, and share memories. Two weeks ago I returned from my first trip to Brazil. I saw São Paulo, São Carlo, Piracicaba, and Playa Grange. How Beautiful to be in these places and be able to talk shop, eat and laugh with local Brazilians. I am forever grateful I took the first step to learning. Just ask my wife. Happy Travels. I have a heart but make decisions with my head. It’s probably why my decision to move to Brazil after graduating college shocked family and friends. Sure, I was fluent in three languages (English, French, and Arabic) and well-traveled, but a whole year to teach English in some rural Brazilian town? Shouldn’t I pursue something “more ambitious” with my precious liberal arts degree? This certainly wasn’t in the 5-year professional plan I had created with my career counselor just months before. When I arrived in Timoteo (Minas Gerais) in August of 2016, learning Portuguese became a necessity. In the beginning, the nasal sounds really turned me off. Over time I began to fall in love with the expressive nature of the language, the passion it represents, and yes—even the nasal sounds. Side note: manjericão is my favorite Portuguese word. Portuguese wasn’t the only thing I fell in love with in Brazil. I also fell for one of my students. He had recently returned from a 7-month stay in Australia and started English classes at the private school where I taught. Again, my falling in love came as a shock to family and friends. I’m a relatively diplomatic, level-headed female who doesn’t take time to chase romantic relationships. Ever. When my year in Brazil ended, I knew I needed to return to the U.S. I needed to get a “real job” and focus on my career. So that’s exactly what I did, and it crushed me. For three months I cried myself to sleep, so torn between head and heart. I wanted more than anything to return to Brazil where I was happier, healthier, with my love. This brings back so many memories. It was not that long ago, but when I started thinking about my Portuguese learning journey and how it has benefited my life, I realized how much I have forgotten. I don’t think I’ve ever written a short email in my life, so be prepared. Paradoxically, I did most of the learning after I had left Brazil, and I haven’t returned since. I am kind of curious, however, whether the experience would be different now that I speak Portuguese better (although slowly losing it already as I don’t use it much these days). I did try to learn some Portuguese before going to Brazil for the first time. It could be summed up to Duolingo, make-up videos and music that I listened to in Portuguese. Oh, and Portuguese for Dummies. I have to say, it’s not very motivating when you find out that the dummy book is too advanced for you. And I watched that video of yours religiously, the Gringo Script one. I bet half of those views are mine. Sometimes when I felt bad that I didn’t have much time to dedicate to Portuguese I thought to myself that at least I’m doing this. Sadly it didn’t prove to be very useful for me because I was visiting friends and they introduced me to everybody else. My friends spoke English and through them I met other people who did as well. But then sometimes one meets people when friends are out of sight, say strolling on the beach in Recife. Or Rio. Which reminded me of possibly the most uncomfortable date ever. Well, two, with the same guy cause I can’t say no to people. The guy didn’t speak a word of any other language and while he was very nice and patient I can’t help but feel like a prisoner when I can’t express myself. It’s even worse when I can understand everything he says but am unable to respond. If I didn’t speak any Portuguese at all, the whole thing most likely wouldn’t have happened in the first place. I didn’t particularly enjoy it, but I have to give credit to Duolingo, and dummy book, as I was surprised myself that I could understand 90% of what was talked about when I was in Brazil, and someone less embarrassed to speak foreign languages could probably have taken more advantage of the level I was at and have some pretty decent conversations. Now, fast forward a few years. I actually got a job because of Portuguese. And they sought me out. That is definitely the most lucrative outcome. Learned a lot of new things there and was able to practice Portuguese every single day (I quit after 3 months – liked the company, loved the coworkers, hated the job). It happened after I had taken a couple of years of Portuguese classes at uni. Perfect timing, I was getting bored at my old job but didn’t really know what I would want to do instead. There were 4 interviews altogether, one of which was a phone call in Portuguese. 2in1, my first phone call and my first job interview in Portuguese. Not gonna lie, it didn’t go too well (Portuguese one, which was the second one, the rest were fine). They must have been desperate because I still got the job. At first I literally wrote down everything I had to say, word by word. Normally you can’t predict the conversation you are going to have, but the video calls were more or less the same all the time. However, I had no idea what I was going to do on the phones where they could ask anything and I wouldn’t be able to prepare. I’m still not quite sure how, but I managed to handle all the calls in Portuguese – with terrible grammar and even worse accent – and help others out as well when they got a Brazilian on the phone. One of my coworkers was a Brazilian girl, but we were never in the same room. We all rotated between verification video calls, chats, and phones + emails. As they only had 2, or rather 1,5 Portuguese speakers there which means we were spread out. At times, when I was already manning the lines in Portuguese like you wouldn’t believe, she came to ask me for help understanding Brazilian customers. I couldn’t help her because if she doesn’t understand then I won’t either but it was incredibly flattering nevertheless. Although I passionately disliked the job, I’m very grateful for the experience. I had no previous experience doing something like that, and that meant for most people that they had to start at lower salary levels and work their way up, but not me. Purely because I speak Portuguese. Ah, good old times. Now I really want to go to Brazil. Put that Portuguese to use again. Things can change to the better. Three-and-a-half years ago I knew nothing about the change waiting around the corner. Today I’m married with a Brazilian and live half of my time in Planet Brazil. Little did I know when studying Portuguese long winter evenings at the Helsinki University evening course that I would soon aproveitar the soft and gentle lyrics of Marisa Monte, be with this Sunshine people who knows how to make stressful situations into something funny or hear cool guys greeting each other saying “Beauty” beleza! The sense of freedom in Brazil is also reflected in the polyphony of how they use their language, nossa língua. But it was not only the loved one that came. Also Brazil with its lyrical songs and its funk full of energy came. Everything changed. New feelings opened up inside. And I can’t stop gazing at the endless beaches, mountains and skylines like Ana Carolina can not stop gazing at her love in É Isso Aí “Eu não sei parar te olhar…“. In the letras of Música Popular Brasileira the beauty of life is combined with reality. This Brazilian attitude makes life is more intensive, gentle, and mais leve here. The spontaneity of the Brazilians to communicate makes me happy, and for that you do not need to know much Brazilian Portuguese. You just need to open your ears, mouth and your heart. Learning Portuguese gave me the opportunity to worship in a coffee plantation, compare issues of race & class in the US vs. Brazil, chat with Rolker Gracie off the mat, take a capoeira class in the favelas of Rio, try every single Brazilian candy in one day, learn to cook fuba and pão de queijo, hear from the farmer how to prepare a new vegetable each week at the farmer’s market. and get to read every single sign at the Museu Historico de Londrina! I’m starting to learn Portuguese. I took it more serious and I’m having online classes with a teacher and it has been so empowering to learn faster and faster. One of the few things is having access to new content and stories I didn’t know before. I’m a product designer in Venezuela and there’s not a lot of content in youtube from latin American sources about the topic. I learnt a ton of things from english channel but I found this one channel of two Brazilian guys with stories of Brazilian designers working remotely or moving abroad and it was so inspiring for me to hear it. It’s amazing what’s happening in YouTube Brazil with some channels. Great content and great attitude. The first way learning Portuguese changed my life was that I learned that I could actually learn another language. It wasn’t easy, but well worth it. I had always struggled with language learning, including Portuguese. 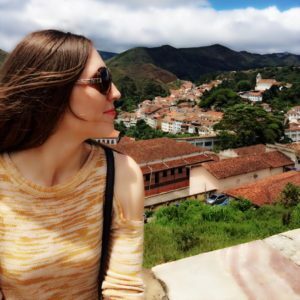 At my Peace Corps site, I received lots of help from the other PCV (who spoke Spanish and English at home, had taken intensive Portuguese classes in college, and had already been in Brazil a year when I arrived.) She set some strict rules including that I could not speak English around Brazilians, that I sit in on the ginásio Portuguese language arts classes, help her teach literacy from day one, and that I had to carry a notebook to record new words. I also asked my (English-as-a-foreign-language) students to correct me and help me to speak better. I loved being able to speak Portuguese, especially since it is rarely spoken in the U.S. Although I’ve never studied Spanish or Italian, I can understand it somewhat, too. And although I knew some French (all book learning, never learned to speak it) I can read it better than before I could speak Portuguese. I like playing trivia games on my iPad. I can’t tell you how many times I answer a question correctly because the correct answer (multiple choice) is similar to a Portuguese word. Before I returned to Brazil for the first time, 40+ years after leaving the Peace Corps, I listened to audio lessons from the library, to get used to the sounds and inflections again. I was in Brazil for a month. By the end of the first week, I was comfortable enough again to carry on lengthy conversations with friends, former students and even strangers on planes. And on several occasions, Portuguese came in handy in my work. Upon returning home, I taught art in public schools for most of my working life. On several occasions, Brazilian students showed up, unable to speak English. They were placed in ESL classes, but the teacher was there for only a few hours 4 days a week. The students would often come to me so I could explain something they didn’t understand in one of their other classes, for example, a math concept. No matter what grade they were in, Brazilians were assigned to my 8th-grade art class, and while my other students worked on their art projects, the Brazilians could ask questions about their assignments in other subjects. I also asked for volunteers among my students to help them with English words. I spent part of each day monitoring the Time Out Room, so on the day of the week when the ESL teacher wasn’t in the building, the Brazilians would go there and when I didn’t have to deal with a Time-Out problem, I would teach them things the ESL teacher might not know, such as the words that were similar in English and Portuguese, but with different endings. The time I spent with the last 2 students I worked with, was about 25 years after I left Brazil, when I had forgotten a lot of Portuguese, so we taught each other. Shortly after I retired, a friend of mine invited his 16-year-old Brazilian daughter to spend a year in the U.S. to perfect her English. (He had worked in Brazil for several years and fathered a daughter he never knew about until she was 12.) Her mother came with her. One day a week I would take the mother grocery shopping, then take her to see some of the local sights, while Jim was working and her daughter was in school. We became good friends. I always considered my involvement with Brazilians visiting the U.S. as my “paying forward” for all the warm, wonderful and welcoming Brazilians who had befriended me, invited me into their homes, and treated me like a daughter, while I lived and worked in Brazil. Learning Portuguese has enabled me to travel to smaller cities in mostly Parana, and to discover the beautiful country of Brazil. My wife’s big wonderful family lives close to Foz do Iguazu. I have been 4 times, monthly stays and hope to be there para Natal, e Ano Novo 2019. I can tell you the people are warm & friendly,& speaking Portuguese is absolutely a must. If you give it your best shot I believe it gains you acceptance & many new friends. I cannot say enough about the Brazilian people, their kindness, love of family & unique beautiful country & culture. Yes it is obvious I am a Gringo. Every new language one acquires comes with a soul of its own. My wife & I learned Portuguese in Copacabana in ’73 at IBEU, while on a 7 month visa for a gig we had. We arrived speaking Spanish, of which we were fluent, having lived some yrs in Mexico & Costa Rica. It got us by, just. The musicians we wanted to play with spoke little or no English. I read an ad in the English language journal,”get your Portuguese together” IBEU was down the street. The customs at Galeão airport refused to let us take our electric piano, claiming we didn’t need it for our gig, since there was an acoustic piano there. I explained it was for our apartment and rehearsals. The day I arrived at the customs, 6 weeks later, speaking Portuguse. The agent just said “leva’ turning on his heel, and I returned with the piano. My wife became Brazilian during that 7 month stay, and began writing Brazilian style songs, which we began recording. There is a c.d. on our website, free download, Brasil, There & Back Again, with a Brazilian guitarist we met in 73 in Rio. Sheila died in 2007. I have been recording her Brazilian songs the last 3 yrs here in Rio with a Brazilian band.Here is the project. Meu portugues é mais ou menos fluente. Só falo português quando estiver aqui. As vezes amigos querem falar ingles comigo, mas eu fico no português e eles no ingles. É bacana mesmo. What’s Your Story? How has learning Portuguese impacted your life? Leave a note in the comments. Josh Plotkin aka "The Brazilian Gringo" is one of the world's leading mentors for learning Brazilian Portuguese. His videos have been viewed millions of times on Youtube.